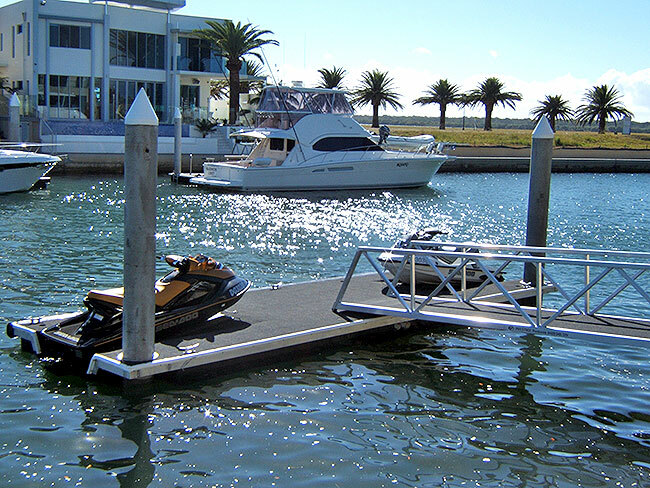 Get Social And Share On Our Pontoons! 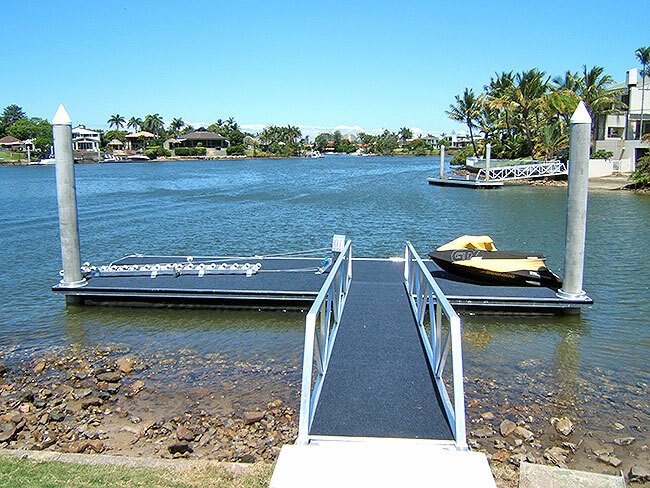 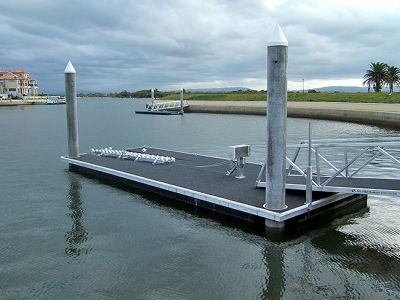 Always a great looking pontoon, one of our favorites 14 x 3 flat deck,the black piles always look classy. 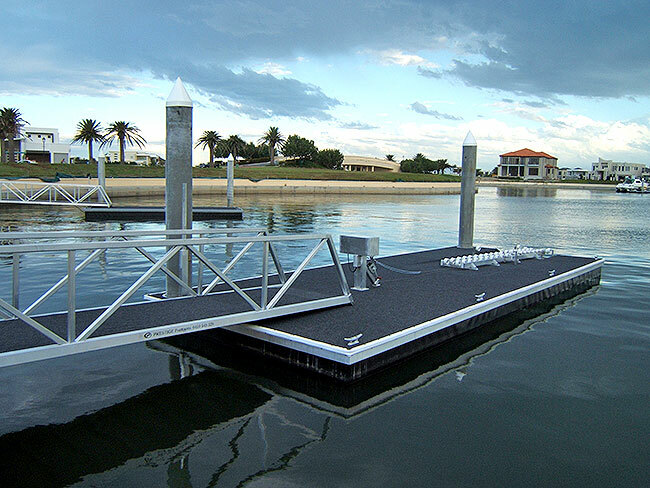 11 x 3 sport port pontoon exclusive to “prestige pontoons”.Looks like an awesome end to the day. 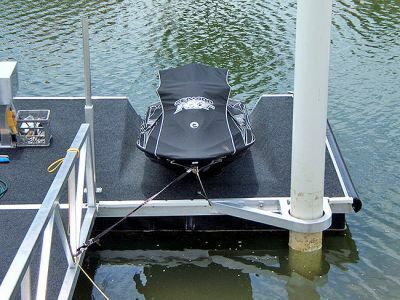 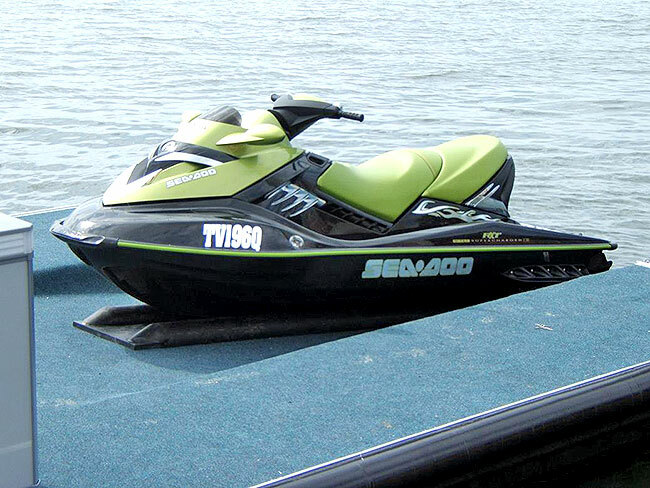 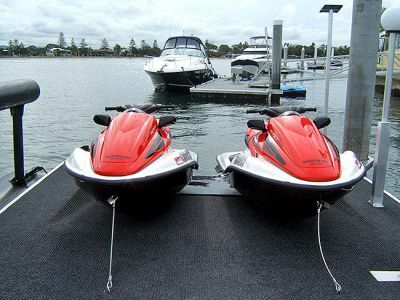 We cant wait to see the Jet Ski's up on top of this 10 x 4 pontoon which has our exclusive dual fully remote controlled "sport Port". 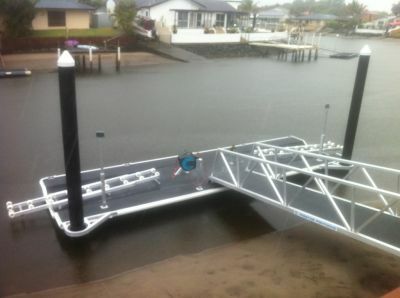 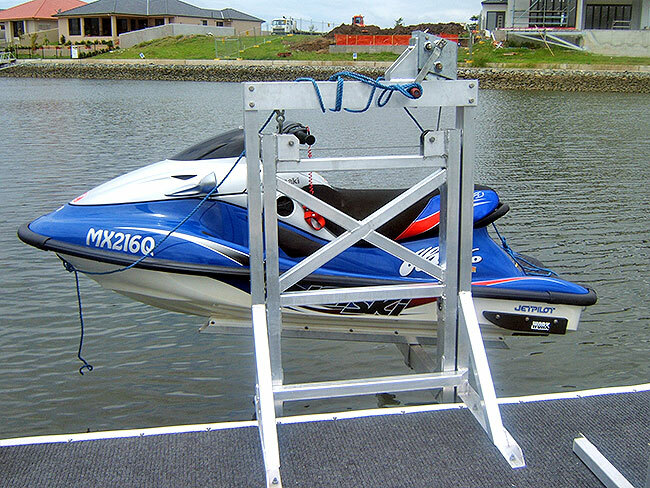 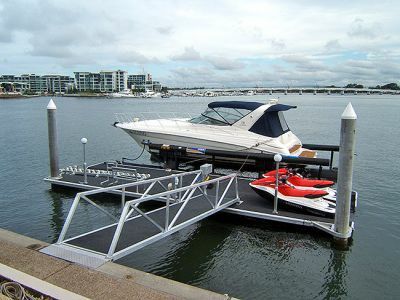 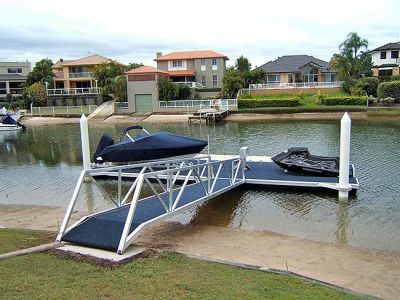 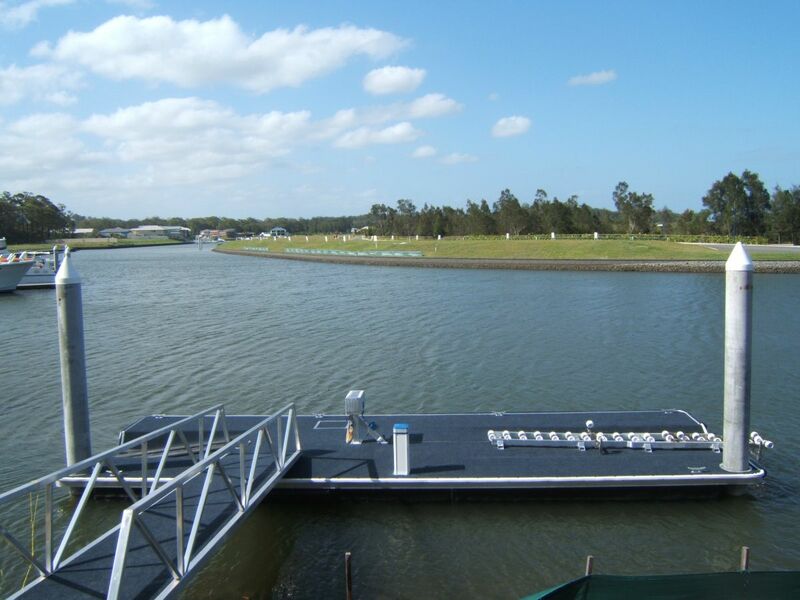 This 8x3 pontoon was installed last week at Biggera Waters.With jetski docks ready for summer boating.